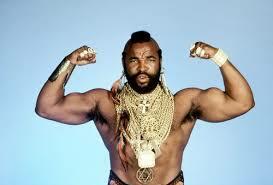 As Mr T’s character out of the A-Team said so well all those years ago, “I pity the fool”. And he could well be speaking of business owners who try to do everything themselves without expert advice. We all need to be focused on building the right kind of support team for our business, to get things done right the first time. And to avoid the pitfalls which can cause serious problems down the track. So let’s start by looking at some of the functions in a business which can be outsourced to the right third party relatively easily. Bookkeeping – is the one classic task which has international standards and should be outsourced to an appropriate third party asap. Find the right person, ideally from a referral, who has expertise in the accounting software you use, and run with them. Accounting – finding the right accountant is a massive thing for every small business. They need to be able to provide long-term tax planning and guidance, and help you comply with your tax obligations. This is a pivotal role in your long-term success, and it needs to be somebody you can form a relationship with. Insurance – always get a good insurance broker to help you navigate the treacherous fine print of the various insurance policies you’ll need to manage the risks associated with your business. We find people are often over-insured, under-insured or left high and dry from policy exclusions. A great insurance broker will make sure you have the right level of cover, without paying too much. Solicitor – it’s important to have a relationship with a good solicitor, for those occasions when you require advice on contracts, the law and other business undertakings. If you’re in a partnership, a partnership agreement is a key document requirement, and a specialised field in its own right. Terms of Trade is another key area they can help with. Marketing – it depends on the type of business you own, but most rely on building a brand, and winning new clients. No matter how you choose to go about this, it will require some specialised expertise. From Google Ad-word campaigns, to TV and radio ads, newspaper ads, and the many and varied forms of social media marketing. Work with experts to get great results. Answering the phone – if your days are just crazy, and you’re spending many hours accomplishing nothing but just answering phone calls, you may need to get an answering service, or put somebody in your office for a certain number of hours per day. This will free you up to be more productive and deal with the higher priority customers and activities. Business coach – often as a business owner, you may not have a lot of experience at the administrative and management side of your business. This is where you can engage the services of a coach who understands your industry, is highly experienced and has a long track record of success. Work with CUBE Performance as your trusted advisor to get the kind of results you only dreamed of.